Replace those old brooms and rakes with a hand held, back pack or walk-behind blower. 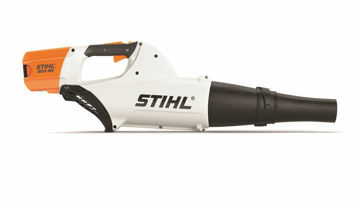 These handy pieces of equipment can make quick work of your patio and yard debris clean-up. Blow grass clippings, twigs and leaves from your garage, patio, driveway and lawn. If you don’t have to pick up the debris and put it at the curb, don’t! Why touch those leaves and do that heavy back-breaking work if you can blow the debris into the woods? Have a light dusting of snow on your driveway, sidewalks or patio? Get that blower out and blow it away. Don’t forget to use your hand held or back pack blower to blow off your car after washing it and buy a gutter kit to clean out the gutters on your house from the comfort of the ground and not the roof! Do you install yards? We can get a bale chopper / straw blower for you too! Make your life easier with quality equipment from Power Equipment Warehouse!